​As a dog owner, you really need to make sure that your pet is provided with the proper care and therefore, nail clipping is absolutely essential. However, most of the dogs are afraid of nail clipping since it makes them uncomfortable. ​Anyhow, we know that it can be pretty stressful for a dog to have its nails clipped, but, that is just something that needs to be done. Now, if your dog is afraid of nail clipping and it is not cooperating when the time for clipping comes, you should definitely learn everything about this common problem. So, let us see everything about dog’s nail clipping so that you can have the right information and proper knowledge. Not all dog owners take this important task seriously. However, the dog’s nail clipping is absolutely crucial for a dog’s overall health in general. But, on the other hand, this whole process is pretty stressful for dogs and that is why you need to know how to do it properly. Since dogs are not able to tell us how painful nail clipping actually is for them, it all comes down to the owner to provide the best possible care for its dog. Also, if you cut your dog’s nails from time to time, you will definitely make them happier and healthier for sure. However, if you don’t cut your dog’s nails properly or on time, there will definitely be some consequences regarding your dog’s health. We all know that dogs are playful and energetic pets and that they need to walk often and be taken to the park. 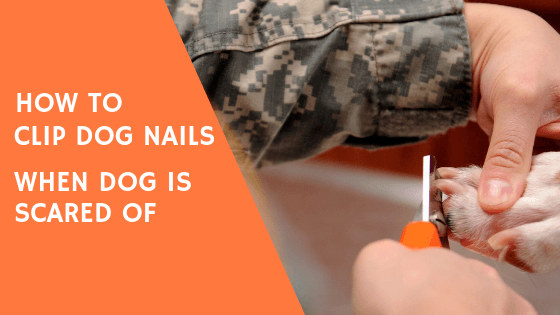 That is why it is important to know exactly how to clip your dog’s nails since they will most likely walk on hard surfaces like sidewalks or pavements. Also, if you keep your dog in home, its long nails will definitely damage your flooring or furniture. But, the worst problem that your dog must face, if it has long nails, is the pain when it walks on hard surfaces. Namely, when dog’s nails come in contact with hard surfaces, they will be pushed upward towards the nail bed. This definitely is a pretty bad and painful thing for dogs and it can affect their whole health badly. The most important part of the whole process of dog’s nail clipping is to find a proper tool that will do the job. However, there are lots of different choices on the market and therefore, you need to make sure to find the best one for your dog. It is not a surprise that your dog is actually afraid of nail clipping if you are doing it wrong or with a bad tool. It is quite important to learn how to clip dog nails when the dog is scared of it. So, let’s see some of the best choices that you can take into consideration. As you can imagine, the scissor nail clippers are designed in an image of scissors and they cut your dog’s nails pretty efficiently. It is recommendable to use this type of dog nail clipping tool only on large dog breeds like Golden Retrievers or Labradors. But, since there are different sizes of scissor nail clippers on the market, you will actually be able to find the most suitable of any dog breed. Possibly the best tool to use if your dog is scared of nail clippers is the grinding nail tool for nail trimming. This actually is not a clipper but it is definitely going to do the job properly. However, the whole process is most likely going to take longer, but, your dog will not be uncomfortable while you trim its nails. The guillotine nail clipper is a specially designed tool that is really good when it comes to dog’s nail clipping. Anyhow, you will get the job pretty quick, but, the whole process might be a little bit uncomfortable for your dog. The process is easy, you simply put the end of the nail in the tool and then the tool will cut it. Also, this tool is pretty good for small dog breeds. Now, let’s see the whole process of dong’s nail clipping. Keep in mind that you need a lot of patience and a steady hand for this kind of job, otherwise, you might hurt your dog nails pretty badly. The first thing that you need to do is to introduce your dog with the tool you are going to use. This will help your dog to understand the whole situation and be less uncomfortable about the whole thing. It is recommendable to grab a bag of treats for your dog in case it starts to act scared or panicked. This will help your dog to calm down as you positively reinforce your dog for this type of things. Start with holding your dog’s paw in your hands. Now, take the clippers and slowly begin to cut one nail at the time. They will most likely try to resist, but it is your job to calm them down with treats so that you can continue. It is important to know that you need to slowly cut one nail at the time. Otherwise, you might hurt your dog. Also, don’t cut too much of the nail. You need to cut until you see a tiny black dog at the center. This way, you will properly cut your dog’s nails. After the whole process is over, your dog will feel a little down, that is why you need to shower your dog with love and teach him that there is nothing to be scared of. So, there we go. This is the whole process of cutting your dog nails even if your dog is scared of it. All you need to do is to follow these steps in the given order and you will do just fine. Also, remember to be as positive as much you can, this will most likely remove the fear of nail clipping from your dog.